The Florida PIP statute outlines the amount of coverage of auto insurance that all drivers are required to have in Florida. 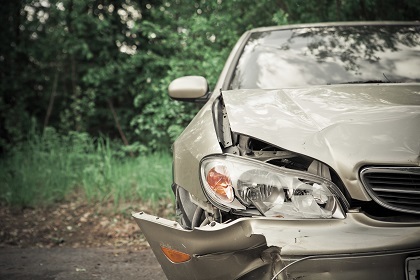 The sole purpose of PIP is to insure that every injured person in an accident is able to obtain some type of medical coverage without having to determine who was “at fault” for the initial motor vehicle accident. In recent years, the Florida government has updated the PIP statute to include a new provision which states that a motorist has 14-days after an automobile accident to seek medical treatment from a hospital facility, emergency transport service, medical doctor, doctor of osteopath, chiropractor, or dentist. If the motorist does not seek any medical treatment from the aforementioned, the motorist forfeits their right to PIP coverage under the Florida PIP statute. Essentially, this means that if certain symptoms or injuries do not present themselves within the 14-day window under the PIP statute, they are not covered. The only people who benefit from this provision are the insurance companies. This is because the insurance company no longer has to cover as many individuals, thus increasing their profits. According to the Florida Office of Insurance Regulation, PIP fraud was/is at minimum a $600 million problem in the State of Florida. The purpose of creating the 14-Day provision under the PIP statute was supposed to help insurance companies combat the burden of individuals filing false claims under PIP. The main problem with this rationale is that a large majority of individuals who file claims under PIP are honest, God-fearing people. As you can tell based on the above, there is plenty of room for interpretation as to what constitutes an EMC, and for such reasons, many medical providers are left in the dark, and up to their own interpretations. Unfortunately, under the amended PIP statute which went into effect in 2014, in order for an injured party to make a valid claim under PIP, he/she must fall within the EMC guidelines. This can prove to be extremely problematic. If a physician finds that an individual does not fall within the EMC guidelines, he/she is only entitled to $2,500 in PIP coverage. The biggest issue with this amended provision of the PIP statute, as discussed above, is that there is not concrete, clear understanding of how a medical professional is supposed to evaluate whether or not a patient has an EMC. Additionally, there is no procedure used to determine how a medical professional is supposed to record a patient’s EMC. As such, it is ever-more present for insurance companies to deny PIP coverage to their insured. Thus increasing the amount of litigation in Florida courts relating to PIP. The legal system provides that a statute be strictly interpreted to show cause. With regards to EMC there must be a showing that: (1) there is a finding within the medical records that an EMC was determined by the treating physician, and (2) the terms “Emergency Medical Condition” must be expressly stated within the language of the medical records themselves. The main problem here is that an insurance adjuster is not legally required to exercise any type of duty of due diligence with their investigation into an individual’s potential PIP claim, thus leaving the insurance company, and adjuster, no obligation to interpret the findings of a medical doctor who did not expressly state that there was an EMC but whose descriptions of the patients injuries clearly fit within the guidelines of an EMC. It is important to keep in mind though that under the Florida Administrative Code, an adjuster must diligently investigate the potential PIP claim in its entirety. This could mean drawing reasonable inferences based of the medical records and the notes from medical providers outlining a patients injuries and how serious those injuries are or could be. For such reasons, it is always important to consult with an experienced personal injury attorney to help weed through the nonsense that insurance companies are willing to create with regard to PIP and a personal injury claim.